Hello! I hope you are having a lovely week. I've been meaning to show you the new yarn that I purchased a couple weeks ago from Knit Picks. This was my first time ordering yarn online and I'm absolutely delighted with how it looks in person. 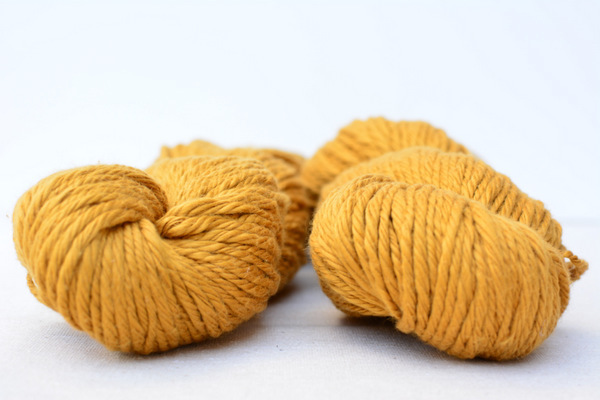 The yellow/gold one is called Billow in Turmeric color; it is 100% Pima Cotton bulky weight. It is so soft and cozy. 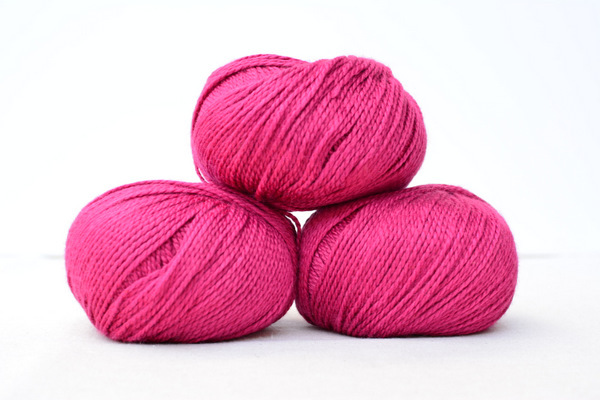 The pink/fuchsia is called Galileo Yarn in Abalone color; it is 50% Merino Wool 50% Bamboo sport weight. I think the color and texture looks so luxurious. I usually find it hard to work on more than one knitting project at a time. But since I'm on the final stretch of my shawl I have been working on I though it is time to decide what to do with these fabulous yarns. After and extensive research in Raverly (oh boy there are so many amazing patterns! 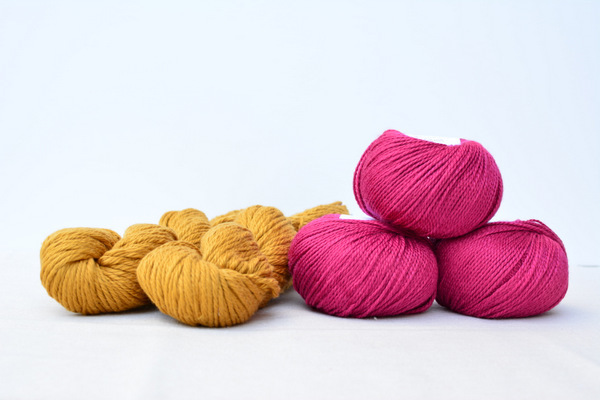 ), I found some great options that would work really well with each yarn. For the bulky cotton I thought that this Bandana Cowl from the Purl Bee would look great with it. And for the pink yarn I'm thinking about making another shawl. I'm still learning some of the basics about knitting so I think This pattern would be a nice challenge. What do you think? Which one should I start first?